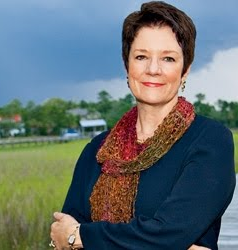 Sue Monk Kidd is a very popular writer. Her first two novels, The Secret Life of Bees (2002) and The Mermaid Chair (2005), have sold more than 6 million copies and the first one is being produced as a movie. She has also written two popular books on contemplative spirituality: God’s Joyful Surprise (1988) and When the Heart Waits (1990). Kidd is quoted favorably by evangelicals such as David Jeremiah (Life Wide Open), Beth Moore (When Godly People Do Ungodly Things), Richard Foster (Prayer: Finding the Heart’s True Home), and Philip Yancy (Prayer: Does It Make Any Difference?). Kidd’s endorsement is printed on the back of Dallas Willard’s book The Spirit of the Disciplines. She wrote the foreword to the 2006 edition of Henri Nouwen’s With Open Hands and the introduction to Thomas Merton’s New Seeds of Contemplation. It is “contemplative spirituality” that changed Kidd’s life, and her experience is a loud warning about flirting with Catholic mysticism. “I had been struggling to come to terms with my life as a woman--in my culture, my marriage, my faith, my church, and deep inside myself” (The Dance of the Dissident Daughter, p. 8). She was thirty years old, had been married about 12 years, and had two children. Instead of learning how to fill that emptiness and uncertainty with a know-so salvation and a sweet walk with Christ in the Spirit and a deeper knowledge of the Bible, she began dabbling in Catholic mysticism. A Sunday School co-worker gave her a book by the Roman Catholic monk Thomas Merton. She should have known better than to study such a book and should have been warned by the brethren, but the New Evangelical philosophy that controls the vast majority of Southern Baptist churches created an atmosphere in which the reading of a Catholic monk’s book by a Sunday School teacher was acceptable. Their thinking goes like this: Who are we to judge what other people read, and who is to say that a Roman Catholic priest might not love the Lord? Kidd began to practice Catholic forms of contemplative spirituality and visit Catholic retreat centers and monasteries. “... beginning in my early thirties I’d become immersed in a journey that was rooted in contemplative spirituality. It was the spirituality of the ‘church fathers,’ of the monks I’d come to know as I made regular retreats in their monasteries. ... I thrived on solitude, routinely practicing silent meditation as taught by the monks Basil Pennington and Thomas Keating. ... For years, I’d studied Thomas Merton, John of the Cross, Augustine, Bernard, Bonaventure, Ignatius, Eckhart, Luther, Teilhard de Chardin, The Cloud of Unknowing, and others” (The Dance of the Dissident Daughter, pp. 14, 15). “My experience of reading it initiated me into my first real awareness of the interior life, igniting an impulse toward being ... it caused something hidden at the core of me to flare up and become known” (Kidd’s introduction to New Seeds of Contemplation, 2007, pp. xiii, xi). Merton communicated intimately with and was deeply affected by Mary veneration, Buddhism, Hinduism, and Sufism, so it is not surprising that his writings would create an appetite that could lead to goddess worship. “In the end the contemplative suffers the anguish of realizing that HE NO LONGER KNOWS WHAT GOD IS. He may or may not mercifully realize that, after all, this is a great gain, because ‘God is not a what,’ not a ‘thing.’ This is precisely one of the essential characteristics of contemplative experience. It sees that there is no ‘what’ that can be called God” (p. 13). What Catholic mysticism does is reject the Bible as the sole and sufficient and perfect revelation of God and tries to delve beyond the Bible, even beyond thought of any kind, and find God through mystical “intuition.” In other words, it is a rejection of the God of the Bible. It says that God cannot be known by doctrine and cannot be described in words. He can only be experienced through mysticism. This is a blatant denial of the Bible’s claim to be the very Word of God. This opens the practitioner to demonic delusion. He is left with no perfect objective revelation of God, no divinely-revealed authority by which he can test his mystical experiences and intuitions. He is left with an idol of his own vain imagination (Jeremiah 17:9) and a doctrine of devils. Kidd’s own first two books were on contemplative spirituality. The involvement in Catholic contemplative practices led her to the Mass and to other sacramental associations. “I often went to Catholic mass or Eucharist at the Episcopal church, nourished by the symbol and power of this profound feeding ritual” (p. 15). There is an occultic power in the mass that has influenced many who have approached it in a receptive, non-critical manner. She learned dream analysis from a Jungian perspective and believed that her dreams were revelations. One recurring dream featured an old woman. Kidd concluded that this is “the Feminine Self or the voice of the feminine soul” and she was encouraged in her feminist studies by these visitations. She spent much time with a friend who had a feminist mindset and was “exploring” feminist writings, and she began to read ever more radical feminists, such as Elisabeth Schussler Fiorenza, Elaine Pagels, and Rosemary Radford Ruether. We are reminded of the Bible’s warning, “Be not deceived: evil communications corrupt good manners” (1 Cor. 15:33). She says, “I began to form what I called my feminist critique” (p. 59). She learned to see “patriarchy” as “a wounder of women and feminine life” (p. 60). She determined to stop testing things and follow her heart, rejecting the Bible’s admonition to “prove all things” (1 Thessalonians 5:21). “I would go through the gate with what Zen Buddhists call ‘beginner’s mind,’ the attitude of approaching something with a mind empty and free, ready for anything, open to everything. ... I would give myself permission to go wherever my quest took me” (p. 140). “I remember a feeling rising up from a place about two inches below my navel. ... It was the purest inner knowing I had experienced, and it was shouting in me no, no, no! The ultimate authority of my life is not the Bible; it is not confined between the covers of a book. It is not something written by men and frozen in time. It is not from a source outside myself. My ultimate authority is the divine voice in my own soul. Period. ... That day sitting in church, I believed the voice in my belly. ... The voice in my belly was the voice of the wise old woman. It was my female soul talking. And it had challenged the assumption that the Baptist Church would get me where I needed to go” (The Dance of the Dissident Daughter, pp. 76, 77, 78). She began to think that the Bible is wrong in its teaching about women and that women should not take the subordinate position described therein. She came to believe that Eve might have been a hero instead of a sinner, that eating the forbidden fruit had actually opened Eve’s eyes to her true self. Kidd came to the conclusion that the snake was not evil but “symbolized female wisdom, power, and regeneration” (p. 71). She was surprised and pleased to learn that the snake is depicted as the companion of ancient goddesses, concluding that this is evidence that the Bible is wrong. She determined that she was willing to lose her marriage, if necessary. “I would not, could not forfeit my journey for my marriage or for the sake of religious acceptance or success as a ‘Christian writer.’ I would keep moving in my own way to the strains of feminine music that sifted up inside me, not just moving but embracing the dance. ... I felt the crumbling of the old patriarchal foundation our marriage had rested upon in such hidden and subtle ways. Though both of us would always need to compromise, there was no more sacrificing myself, no more revolving around him, no more looking to him for validation, trying to be what I thought he needed me to be. My life, my time, my decisions became newly my own” (pp. 98, 125). In her case, her husband stayed with her and came to accept her feminist vision, even leaving his job in the Christian college and becoming a psychotherapist, but in many other cases the feminist philosophy has destroyed the marriage. She says, “I’ve met women who in such circumstances have stayed and others who’ve left. Such choices are achingly difficult, but I’ve learned to respect whatever a woman feels she must do.” It is amazing how a person can come to the place where he or she is convinced that it is a righteous thing to renounce a solemn marriage vow that was made before God and man. She rejected God as Father. “I knew right then and there that the patriarchal church was no longer working for me. The exclusive image of God as heavenly Father wasn’t working, either. I needed a Power of Being that was also feminine” (The Dance of the Dissident Daughter, p. 80). She came to believe in the divinity of man. “There’s a bulb of truth buried in the human soul that’s ‘only God’ ... the soul is more than something to win or save. It’s the seat and repository of the inner Divine, the God-image, the truest part of us” (When the Heart Waits, 1990, pp. 47, 48). “When we encounter another person ... we should walk as if we were upon holy ground. We should respond as if God dwells there” (God’s Joyful Surprise, p. 233). She began to delve into the worship of ancient goddesses. She traveled with a group of women to Crete where they met in a cave and sang prayers to “the Goddess Skoteini, Goddess of the Dark.” She says, “... something inside me was calling on the Goddess of the Dark, even though I didn’t know her name” (The Dance of the Dissident Daughter, p. 93). Soon she was praying to God as Mother. “I ran my finger around the rim of the circle on the page and prayed my first prayer to a Divine Feminine presence. I said, ‘Mothergod, I have nothing to hold me. No place to be, inside or out. I need to find a container of support, a space where my journey can unfold’” (p. 94). She came to the place where she believed that she is a goddess. “Divine Feminine love came, wiping out all my puny ideas about love in one driving sweep. Today I remember that event for the radiant mystery it was, how I felt myself embraced by Goddess, how I felt myself in touch with the deepest thing I am. It was the moment when, as playwright and poet Ntozake Shange put it, ‘I found god in myself/ and I loved her/ I loved her fiercely’” (The Dance of the Dissident Daughter, p. 136). “To embrace Goddess is simply to discover the Divine in yourself as powerfully and vividly feminine” (p. 141). “I came to know myself as an embodiment of Goddess” (p. 163). “When I woke, my thought was that I was finally being reunited with the snake in myself--that lost and defiled symbol of feminine instinct” (p. 107). She came to believe in the New Age doctrine that God is in all things and is the sum total of all things, that God is the evolving universe and we are a part of God. “I thought: Maybe the Divine One is like an old African woman, carving creation out of one vast, beautiful piece of Herself. She is making a universal totem spanning fifteen billion years, an extension of her life and being, an evolutionary carving of sacred art containing humans, animals, plants, indeed, everything that is. And all of it is joined, blended, and connected, its destiny intertwined. ... In other words, the Divine coinheres all that is. ... To coinhere means to exist together, to be included in the same thing or substance” (pp. 158, 159). She built an altar in her study and populated it with statues of goddesses, Jesus, a Black Madonna -- and a mirror to reflect her own image. She even believes that the world can be saved by the divine mother. “I know of nothing needed more in the world just now than an image of Divine present that affirms the importance of relationship--a Divine Mother, perhaps, who draws all humanity into her lap and makes us into a global family” (p. 155). According to this book, Kidd’s daughter, too, has accepted goddess worship.